Have you ever watched someone making a phone call but then you can't help yourself staring at them and wondering where they come from? If it turns out to be someone you probably just met, no doubt, they would definitely have left a bad first impression about them self. And I bet you know how hard it is trying to correct a wrong "first impression". But have you for a second tried watching yourself while you're on the phone? Just as it may sound crazy, it's even funny and to a point embarrassing; if only you could see yourself with a third eye. Do you remember the last time you saw someone demonstrating while making a phone call? You may already be smiling right now if you can relate. "Yes, If you enter the house, go upstairs. By the left (with his hands pointing to the right like the person could see him) you'll see 3 doors. The first one leads to the bathroom, the second leads to the visitor's room. Enter the second room, by your left, you should see a tall wardrobe (still demonstrating how tall the wardrobe is)." Demonstrating while on a phone call is like spraying perfume just before you take a passport photograph. It's definitely of no use. And if someone sees you doing that, they'd sure look you like you're local. Shout out to all those who can't make a phone call without using earphones. You sure rock! While most of them use earphones with some swagger, a lot of them pretty much get their self deaf with it. Very much the same way they behave (talking too loud) when they have an earphone fit into their ear and probably listening to one of Wizkid's Hit songs. I'll want to believe you don't already do this cos it's "wrng." Yeah! You heard me right. It's so wrong that I forgot to spell "Wrong" right. There's no techki explanation for this aside from the fact that it could shock your ears like how the Flash got struck by lightning. Of course, that's techki enough. But there're health consequences of doing this. I stumbled on this post of this Nigerian living in China who's phone exploded when he decided to charge it and make a call at the same time. If you don't, you won't only look local, but you stand a chance looking like a dead meat. 4. Holding your phone with the back speaker on your ear. Now, this is something you see guys and chicks with Nokia torch doing. Couple of times, I've asked folks why they do this but they keep giving me the same answer - "the phone speaker is placed at the back of the phone"
To a point, that reason almost made sense until I asked why don't they make calls with the back of their Infinix phone on their ear. Lol... Am still waiting for an answer though. Probably you can give me one in the comments below. Come to think of it; Infinx places its phone speakers at the back their phones and if you ask me, those speakers are loud enough to get your call done. While I may consider this to some sort of show off, I also think it's local. About a month ago, I was in need of cash so I went to the bank to make a withdrawal. On getting there, I met a queue and just behind the queue was a crowd also waiting to use the ATM machine. You know it is when you meet a queue and you're trying to find out who's last on the queue? Well, I didn't even bother asking - it was no use. After standing for close to 7 minutes, I was beginning to notice the crowd's frustration at the regressive movement of the queue when a phone call come through. Initially, I thought it was my phone ringing but on seeing the lady close to me raising her phones to her ears to answer a phone call, I realized it wasn't my phone ringing and we had the same ringtone. So I felt until... she blew it. With all that noise at the ATM stand outside the bank, she turned on Loudspeaker to pick her call. And from the sounding of her voice, I'm guessing it was her boyfriend. The call lasted over 10 minutes (just before I got angry and decided to cut in lines). From the conversations I managed to eavesdrop, she was sounding so innocent, speaking with a crazy intonated feminine voice which I believe she was forming. At some point, she was like... "Dear, I can't hear you clearly, I think the call is breaking"
"What's this girl up to, even a deaf man knows you can't hear someone clear when you have the loudspeaker turned on in a noisy place." Something told me she was trying to hit on me but deep down, my soul wasn't ready to give it a chance. And here's where this story ends, I made use of the ATM machine before she did and she ended up looking less romantic and more local to me. 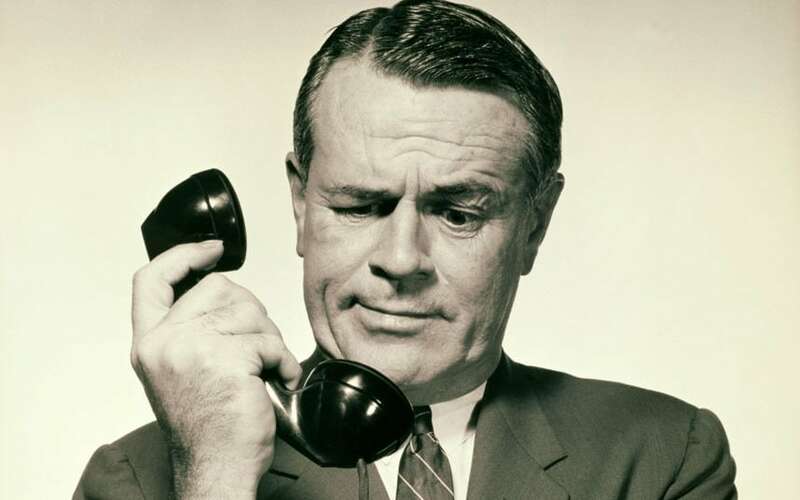 How do you answer phone calls, are you guilty of any of these, what other ways do people make calls that look weird to you? Share your thoughts. Reading this post and was saying yes, yes and yes. Alot of people are guilty In this one. Its' high time there's a change. Have been guilty of some of the above mentioned i confess, what else but to put it in check. You nailed it. Really Amazing. More grace to your elbow. A lot of people are guilty In this one. Great post! Definitely right, good post had a good read :)). Very nice :) I really enjoyed reading it :) It sounds so familiar to me as well. Great tips, loved reading it. Amazing of certain tell tale signs!! Hehe... Don't be tempted to try it as well. Thanks for stopping by, hope you share this with friends. mmmmmmmm can't say a word for this one, but i learn thanks.